Duct sealing is one of the best ways to improve your home's energy efficiency by cutting down on wasted air. A properly sealed and insulated air duct system goes a long way towards making your home more comfortable and energy efficient. It can also improve your indoor air quality and make your home safer. Air Inc. 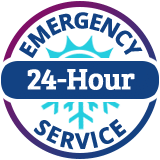 Heating and Air Conditioning has the equipment and training to accurately diagnose your ductwork problems and provide safe and effective duct sealing and duct insulation services. Contact us today to schedule your free on-site evaluation and estimate! We are your qualified professional for HVAC services in Branford, North Haven, Guilford, and the surrounding areas. Leaky ducts: Oftentimes these temperature issues arise because the hot, or cold, air is not actually reaching its intended destination. Duct leakage is letting the air escape before it has arrived in the correct room. This tends to force your HVAC system to stay on longer and longer in order to get the affected rooms to the right temperature. Do you have an uncomfortable home during the winter or summer, rooms that don't heat or cool evenly, or high energy costs? Air Inc. Heating and Air Conditioning can help. We're experts in HVAC system repairs, so we are able to identify ductwork problems and provide the most cost-effective solutions. 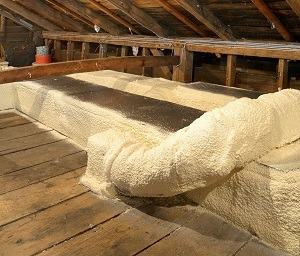 Whether you need ducts sealed, repaired, or insulated you can rely on Air Inc. Heating and Air Conditioning to get the job done quickly and efficiently. Contact us today to schedule your on-site ductwork evaluation and free repair estimate! We proudly serve Hamden, New Haven, East Haven, Madison, West Haven, Woodbridge, Milford, and nearby!